An occasional exercise in gratitude. Work is going well; I have a new boss who is not only on my side, but inspiring. Levothyroxine and asthma meds, which keep me functional. New cpap, now with built-in humidifier. Close friends who shared hugs and helped discuss the election. Himself, who made lasagna for dinner. Photos have surfaced on Flikr of Integrity Puget Sound & various Episcopal parishes in the Seattle Pride Parade. A new Donna Andrews book, The Hen of the Baskervilles, has arrived. A new Stop Paying Attention comic! 1) Getting things done at work. 2) Realized I was feeling a bit fuzzy-headed and tired everytime I took my SSRI. Being able to notice this sort of thing is somewhat new. 5) Feeling better about my parents and moving on. Grief is a process and I seem to have moved to a less-fraught stage. 6) Asthma meds. For breathing!!! 7) Coworkers who are patient as I learn new skills. 8) The man of the house, who improves my life in so many ways. What is good in your life today? It’s Thursday and I’m thankful for…. I belong to a church where women wearing pants to church is common. As are women in leadership. 1-year anniversary at work. My signing bonus is now all mine, instead of something I have to pay back if I leave. Also I get another week’s vacation next year. My own office, without a roommate. Letting go of other people’s “Oh, but you have to do ________ for Christmas” and focusing on what I want to do. The man of the house, who has been supportive through work craziness in October / November. Splurging on things from tees to office toys because I can. Did I mention an upcoming 4-day weekend? Memories of a fun weekend of musical crafty goodness. 1 The man of the house packed a yummy lunch for me today. He also cooked each night I was home this week. 2 AC. 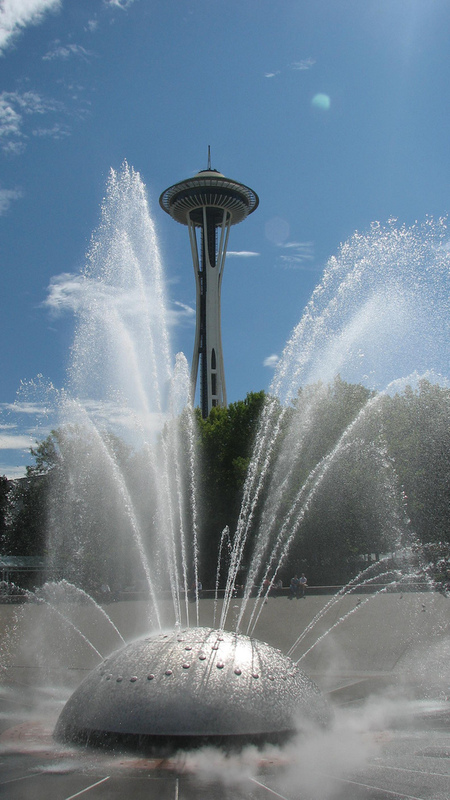 Most houses in Seattle don’t have AC. I don’t regret installing ours, even if we barely used it last year. 3 A job where showing up in shorts one day and a dress the next is fine. 4 A boss who reminds me that I have strengths, and who encourages me to use them. 5 Initial “let’s start probate” paperwork has been fixed for accuracy and ready to mail. 6 I fell in love with temperature-controlled computer labs in college one summer term when the temps were stubbornly sweaty & sticky. Except the minicomputer lab, which had to be kept cool per warranty. All of which is to say, taking computer classes to help cool off has served me well & I’m glad. 7 Leg lifts are my friend. 8 Stretching makes me feel divine. 9 Chocolate covered espresso beans are yum. 10 So much enjoying Mira Grant’s book Blackout and how it improves my understanding of the prior two books. (Feed, then Deadline. They are a trilogy, not a book & two sequels.). Being thanked for work I did on an event. Being complimented on my writing and this blog. Between blackout curtains and weight lifting I’m mostly getting enough sleep this summer. Physically feeling the benefits of regular strength training. Splurging on a few summer tops & such. I feel like I’m starting to wake up from the last few years. Reminders that even with my parents gone, I’m not as old as I sometimes think. 3. Hospice care is providing more monitoring for my father to help avoid surprises and ER visits — and they come to HIM, which is much better than ambulances. 4. My father is happy in the care home where he lives and is getting good care. 5. Supportive friends and chosen family, for helping me to stay sane. Things appear to be getting into “routine” with the parent, instead of “crisis-to-crisis”. I’ve also been able to cross some major tasks off my list, and more are in sight. Adding more tasks to my to-do list (managing the parent’s mail and bills, coordinating his care, etc) is making me focus on priorities more. I have a credit union I am happy with for checking, savings, mortgage, & credit card. My IRA is with The Vanguard Group, which is owned by the the investors. The man of the house, for being here. My father has been in his new Adult Family Home for over a week and is doing well. The political-bloggers-with-zombies novel Feed that I’ve been compulsively re-reading for the last year did not win the “Best Novel” Hugo but it came in second. Feed and its sequel Deadline are by Mira Grant aka Seanan McGuire. While I did not get to Worldcon this year, I do get to enjoy this ustream of the comedic “Just A Minute” competition, including discussion of various Apollos, the seven dwarves, parallel universes, what’s wrong with steampunk, and Seanan McGuire requesting a big boo for Bill Willingham. Cooking at home and relaxing with the man of the house. Sherlock is on Netflix instant streaming. My new dress (this, size H, in blue) fits great, is nice and cool, and has pockets. My father and his new care home appear to be getting along. I am getting enough sleep and my anxiety is decreasing. Next weekend will be three days thanks to Labor Day. My temp gig is continuing to go fairly well. My father is doing better. I got over my “but things can’t get better” thinking and saw my ARNP about my anxiety, insomnia, and depression symptoms. My ARNP prescribed Celexa (for depression) and Ambien (for insomnia). Ambien does help me sleep. Celexa does seem to help my depression. I am continuing to do other things to take care of myself. The man of the house loves me. Our friends are also supportive and helpful. Overall: my life is not perfect. My life is not terrible. I am coping — sometimes day by day, sometimes minute by minute, but coping. 1) Riding the bus to my new job means I’m walking daily again, at least on weekdays. Funny how walking even a 1/2 mile or so every day can feel good, even if it’s spread throughout the day. 2) Yes, I have a temp gig. At the moment it’s a better fit than the old place. 3) The commute is a short bus ride and a longer bus ride – if I make connections badly it can take 90 minutes or more. I am getting better at making connections, though, and the long bus route is conducive to reading books or surfing the net (many of the buses have wifi). De-stressing on the way home is a good thing. 4) The trees are blooming, but my meds are keeping my asthma largely under control. They don’t care about my health. They don’t care whether I am happy, whether I enjoy my body, whether I like moving and living in my body. They care that they don’t like looking at me and wish that my body would go away, would shrink, would dwindle away so that it will no longer offend their eyes. This is what people mean when they ask me if I’m ‘taking care of myself,’ when they give me a sidelong glance while I eat a doughnut, when they scrutinise me if I start to wheeze on a hike, because of course, I must be wheezing because I am fat and out of shape, not because I have asthma. I’ve been getting more job interviews lately. Researching the companies I’m interviewing at and other interview prep is taking a fair amount of time. One place I interviewed at Monday has called to arrange a second round next week, which is a hopeful sign. I am still not getting full lung function, but albuterol, Mucinex, and the humidifier are helping. Doing an aerobics tape in the morning seems to make me feel better for the rest of the day, and the fact that I can (instead of collapsing with a major coughing fit after 5 minutes of warm-up) is a good thing too. We’ve had some nice sunny weather lately, inspiring me to prune roses and cut down some blackberry canes. The man of the house is making dinner – steak, mushrooms & peppers, and potatoes. 1) Much less stress. The old job was changing and had become a bad fit, and now it’s OVER. 2) I qualify for unemployment. 3) …also, we have money saved. I’m touching wood as I type this, but we’re okay for a while. 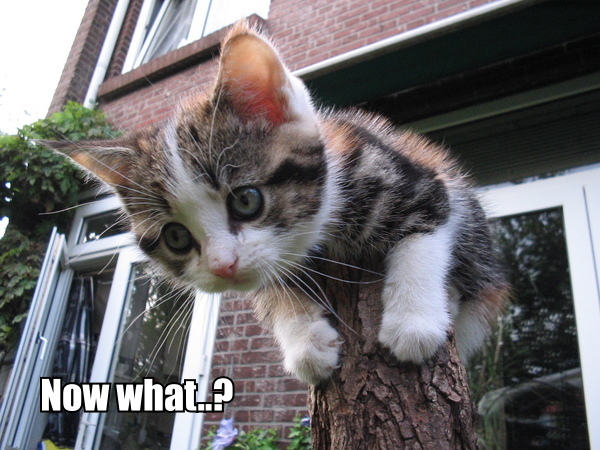 4) …and, really? I didn’t want that job anymore anyway. I started looking for a new job, sporadically—like once a month—in June. Maybe if I’d rolled faster with the changes I’d still be there, but the “not wanting the job anymore” was a big part of why I didn’t roll with the changes well. I didn’t mean to be obstructionist, but I became obstructionist because I didn’t want to do heavy lifting to change a job I didn’t want. It became a negative spiral that I’m glad I’m not in anymore. 5) Finally, I’ve been able to enjoy the time I spend with the man of the house more. His support has really helped. I’m also thankful that my blue blazer I got 5 or 6 years ago still fits and looks great with various tops. ;) I’ve had a few interviews, but no offers yet. 1) Yummy food and friends / chosen family to enjoy it with. 2) A positive discussion of Health at Every Size. 4) Interview scheduled for next week. Riot Nrrd explains why judging other people’s health can be inaccurate. Searching this blog tells me this last happened in May 2009. I find it interesting that I didn’t even try to sleep without my CPAP. 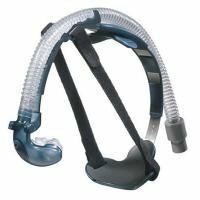 I used the backup mask a few nights and the broken taped-together mask a few nights, but no non-CPAP nights. 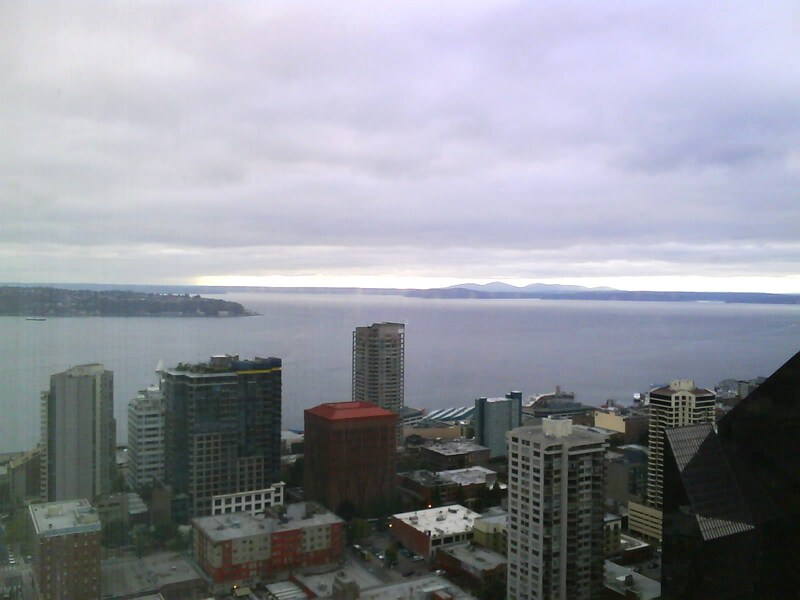 Last weekend the man of the house and I spent a night at the Seattle Westin Hotel. We did one of the “romance” packages, with sparkling wine, breakfast in bed, and a late checkout. I enjoyed it immensely, and I’m really glad we got to do it. Oh, and the view wasn’t bad either. The only camera I had was my cell, which wasn’t the best, but it’s a nice memento of the weekend.